The Kenny Creek Trail in Bountiful, Utah is not a trail you hear of often. In fact, when we hiked it we literally ran into only three other hikers the entire time. 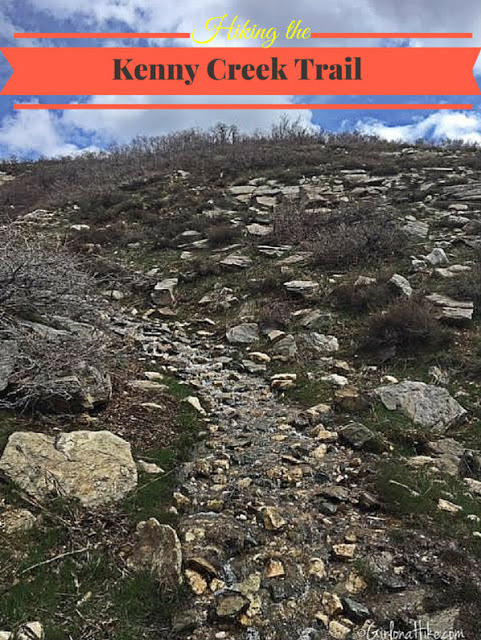 Though you will mainly see people crossing the bridge to hike Mueller Park Trail, Kenny Creek will offer you solitude, beautiful views across the canyon to Mueller Park Trail, and views of Antelope Island to the west. 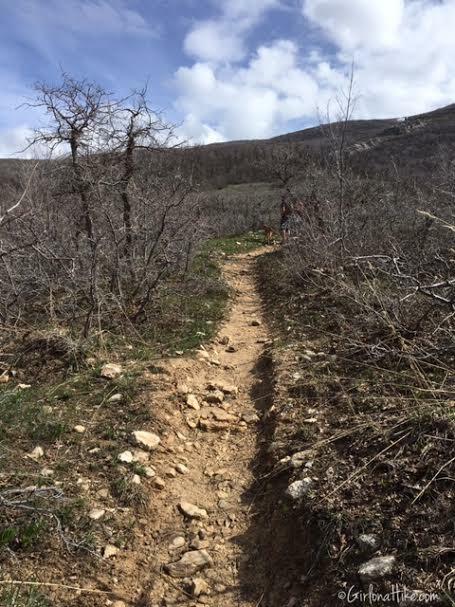 Even on weekends this trail will be less populated compared to Mueller. 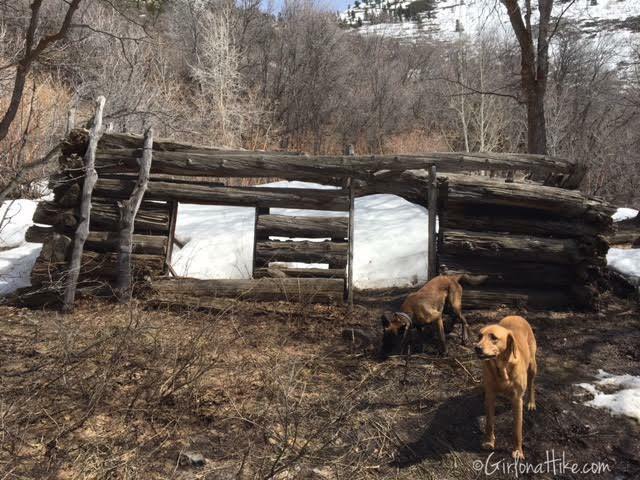 Along the trail you will cross two creeks; and at the end of the trail you will encounter an old miners cabin from the late 1800s. 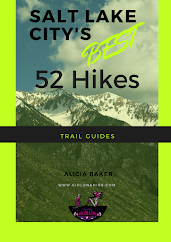 Though this trail offers fantastic views, it has it's own challenges: 1) the low brush will tear up your legs if you wear shorts, 2) the steepness makes it feel like you've hiked longer. From SLC drive north on I-15, and take exit 315 for 2600 South. Turn right and follow 2600 S east as it seamlessly curves north, turning into Orchard Drive. Follow Orchard Drive to 1800 S, and turn right at the light, heading east again. Continue following this as it turns into Mueller Park Road. 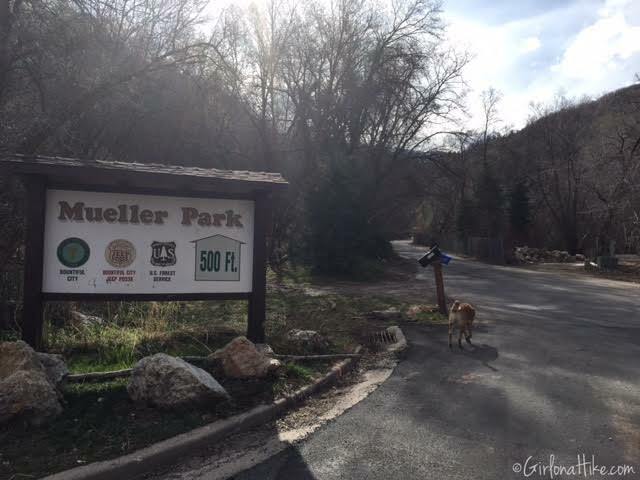 This road leads you right into the Mueller Park Rec Area. To avoid paying the $8 parking fee, I recommend parking along the road. Signs says there is a $5 walk in fee, but I've never had to pay it before. Park outside of the gate, along the road to avoid paying the $8 parking fee. Walk past the fee station about 100 yards. 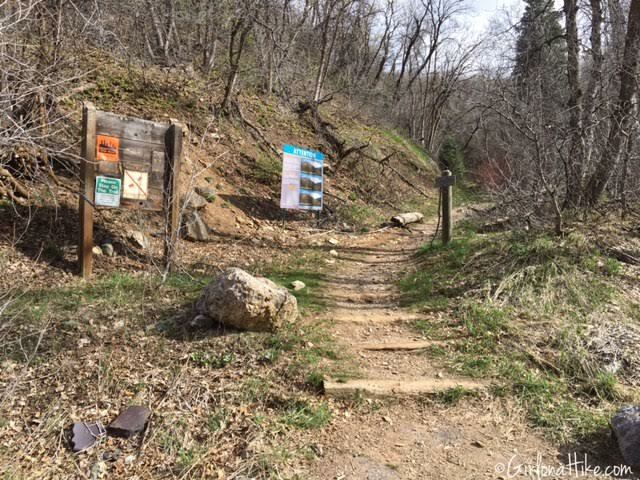 Kenny Creek Trail will be on your left, with two large signs, and the official TH sign. It starts across from the campground host campsite. Cross the first stream after 5 minutes. 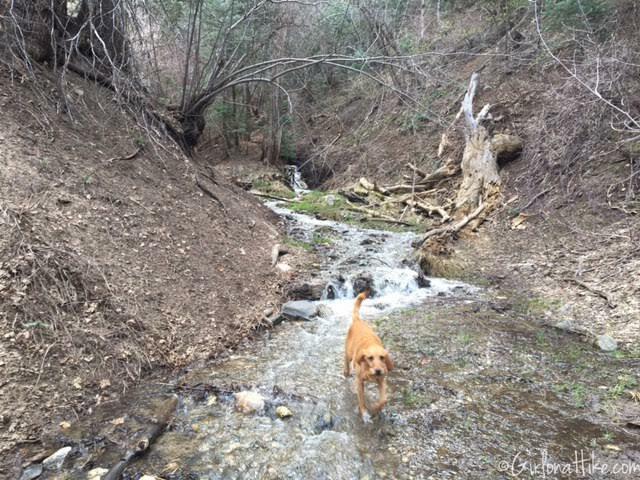 This is a great place to let the dogs take a quick dip and drink before climbing 2,000 ft to the next stream. The first mile is really well shaded. 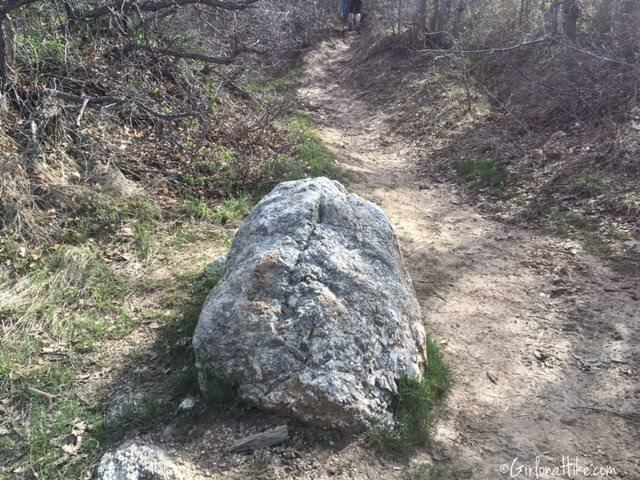 Keep an eye out for these large white rocks, which help let you know you are on the right trail. 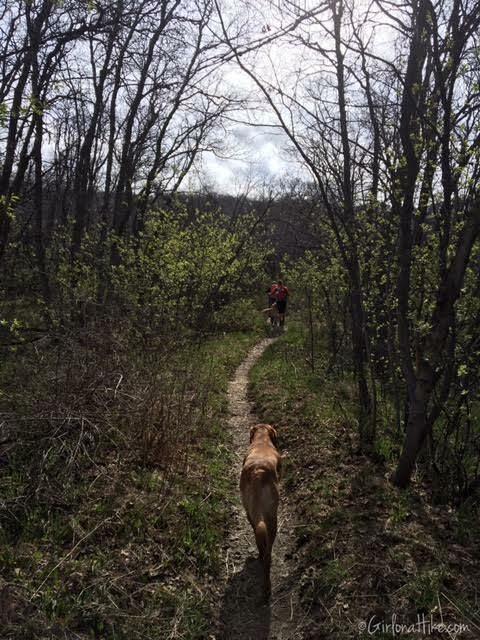 At about .90 miles, the trail opens up and is not shaded; however, you will have fantastic views of the area. At the first, open overlook. 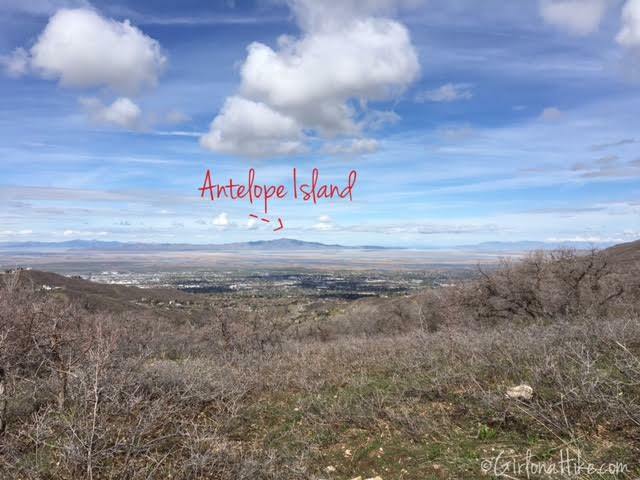 You can clearly see Bountiful and Frary Peak on Antelope Island to the west. 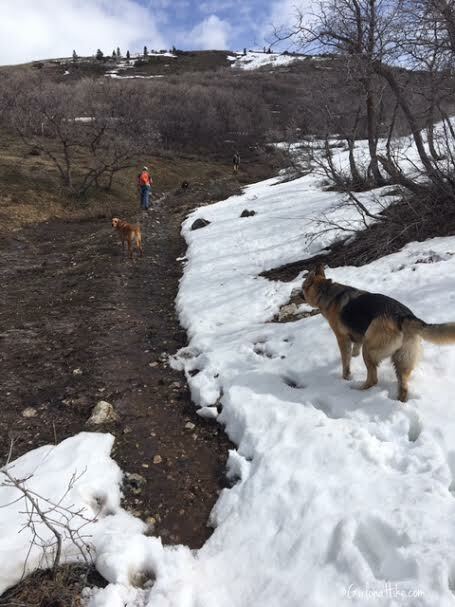 Because of the recent snow melt, parts of this trail were muddy or had a small water hole the dogs loved to run though and get extra muddy in. At 1.0 mile, you will reach this stretch of white rocks that guide you across the underground gas pipeline to the other side. 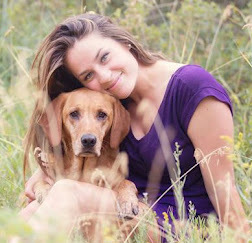 This was a great spot to take "Family Photos" as I call it, when we each line up to get a photo with our dog in a pretty spot. Group photo! 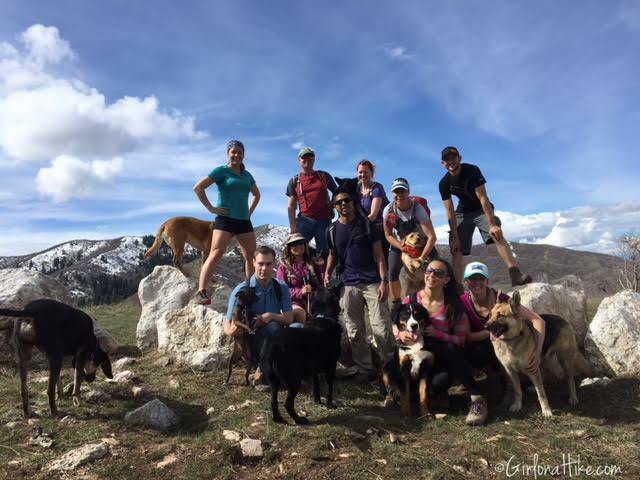 We had about 10 people and 8 dogs on Sunday. 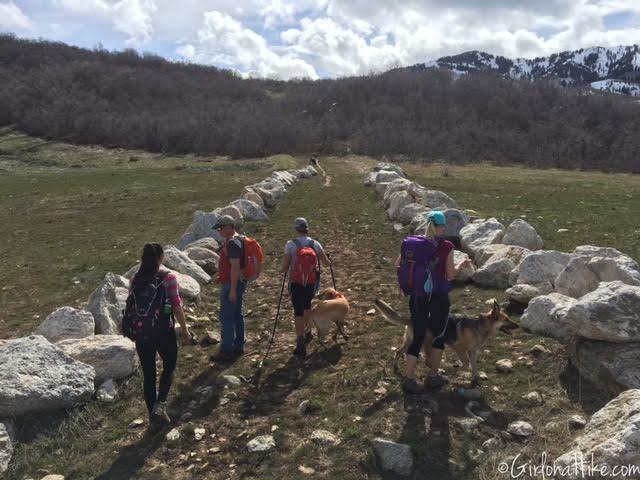 If you live in the SLC area and love to hike with your dog, be sure to join our Meetup.com group, "Hiking in Utah - With our Dogs!" 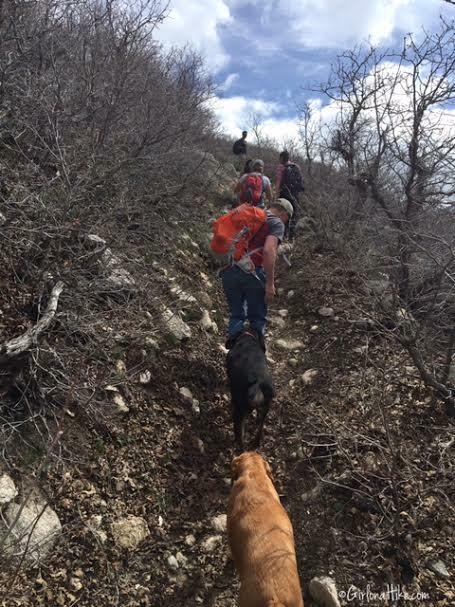 It's free to join, and we hike all over the Wasatch & Uinta mountain ranges. Continuing past the white rocks, the trail begins to climb again, this time with the trail have low brush that will scratch up your legs if you wear shorts. I HIGHLY recommend wearing pants on this trail. You can see that Doug, in the orange pack, had to turn sideways to help get through the tree limbs. 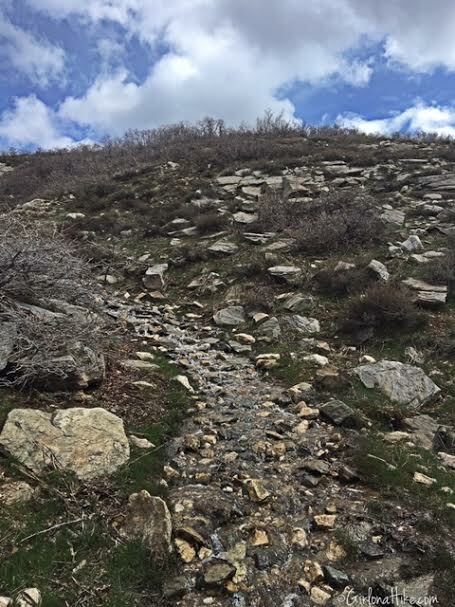 At 1.7 miles you will reach the 2nd stream. This spot offers beautiful high alpine terrain views. Across the canyon you can easily spot Elephant Rock on Mueller Park Trail. 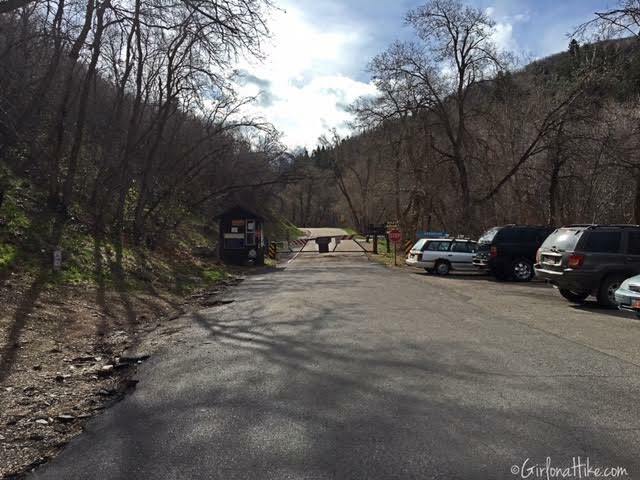 Once you reach the stream, the old miners cabin is another 0.6 miles up. 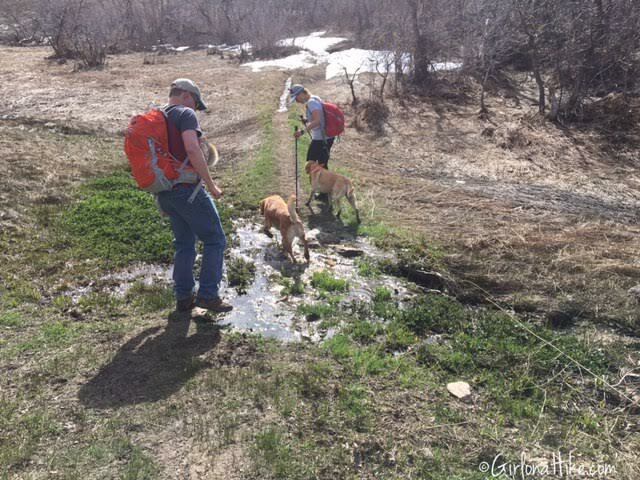 Just after the 2nd stream we hit snow, and the trail was also a stream due to all the snow melt. 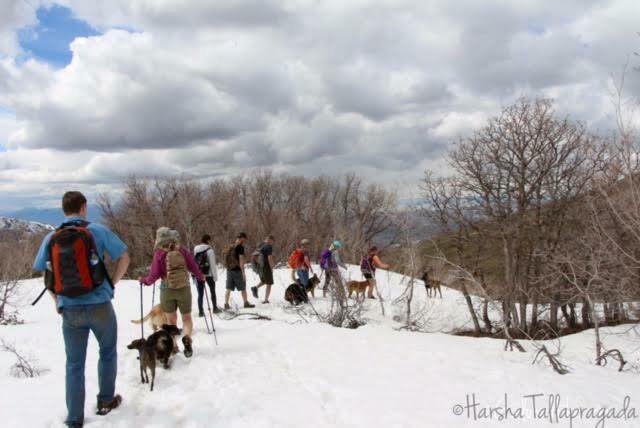 We had to do a little route finding, but ultimately found the trail again, and the snow disappeared as we continued. 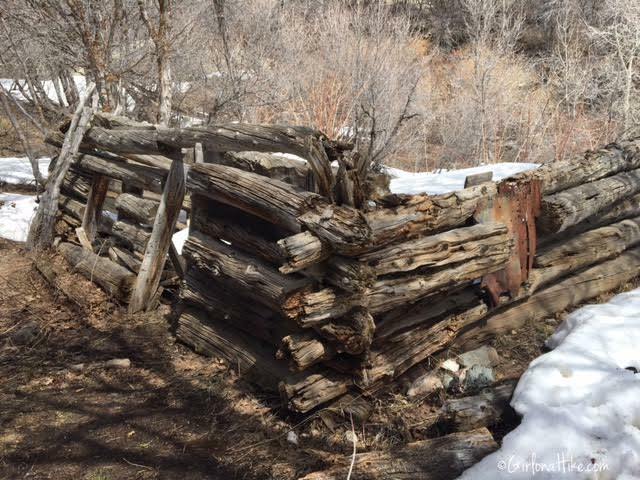 At 2.3 miles you will find the old miners cabin. 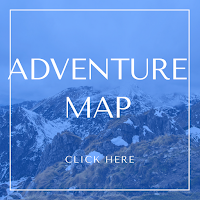 Many people report not being able to find it, and that is because they didn't hike far enough. 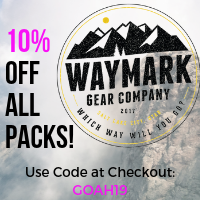 With all the elevation gain, it seems like you hiked further than in reality. Keep pushing and you will find it! Above the cabin, you will see the old mine outcropping on the side of the hill. You can't get in anywhere, the rocks have fallen over the entrance. Though it is not much to look at, it's apart of the history in the area. Please be respectful and protect the cabin - do not mark anything or leave trash behind. 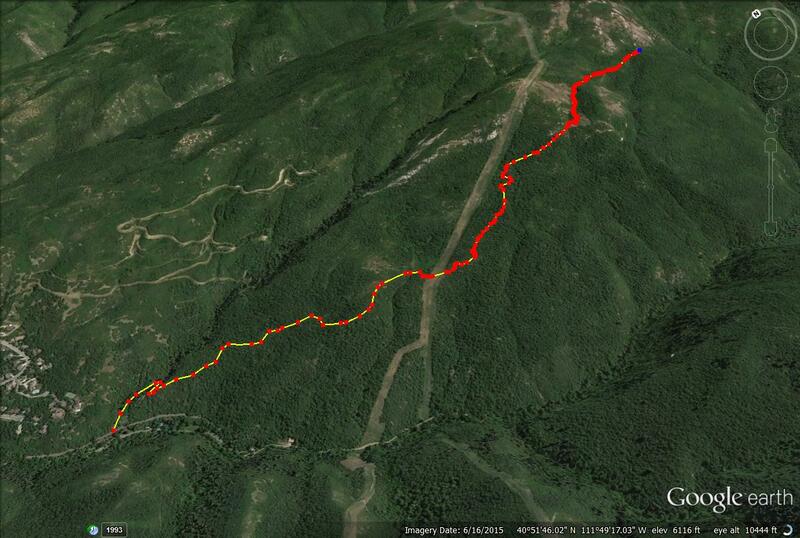 Another neat hike:) Love trails that aren't popular! 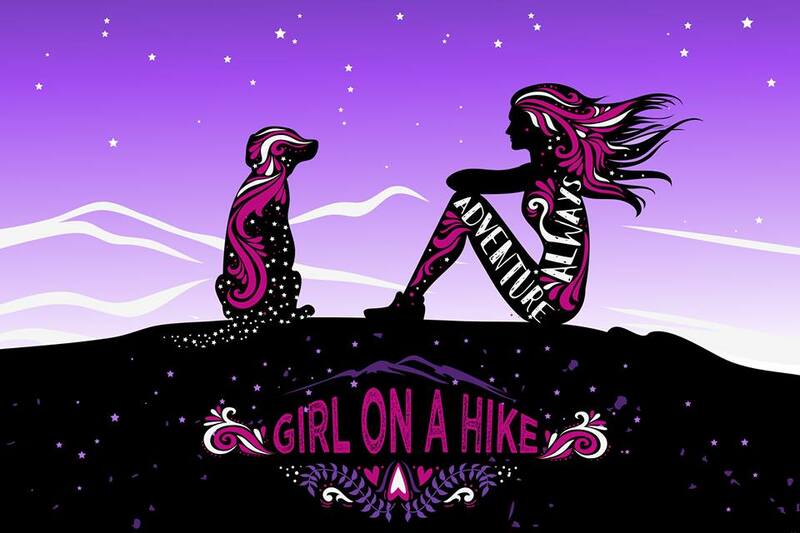 I hiked this trail yesterday with my Brittany Spaniel (Sadie). I have lived in Bountiful all of my life and I did not know there was a mine and cabin up there. Thanks for the info. It was really helpful! We had a great hike and did not see another person. They were all over on the Mueller park trail. At least 25 vehicles parked when I left. Thanks for the information. 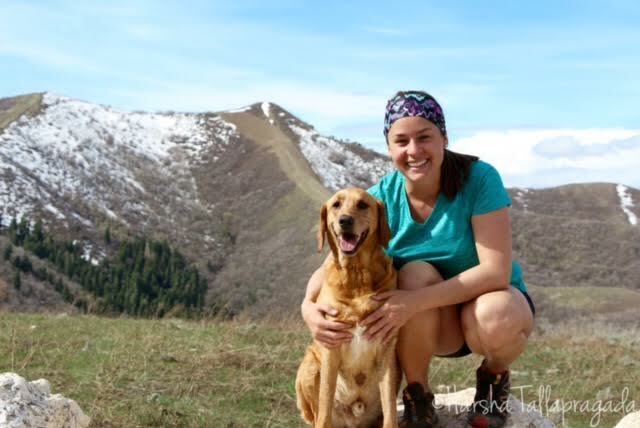 We hiked it for the first time for my dog's 4th birthday present hike. I'm glad you explained where to find the trailhead because we would have looked around the picnic area and wouldn't have known to keep walking up the street. We turned around at the miners cabin, but we could see that the trail continues and Alltrails has it listed as 9.6 miles. Do you know what is past the miners cabin? Does it lead to a peak? just returned from this hike. I did not make it up to the cabin because of all the foliage with the new growth. Definitely will wear long pants next time. The 2nd stream was hard to get across because of all the late snow melt and rain we had last night. Expect shoes to get wet and muddy. Step climb. Beautiful views. 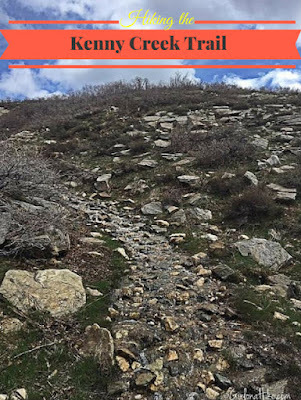 Thank you for posting this, the trail is named after my 2x great grandfather John Kenny, there are stories about this trail and the mine and the cabin in his biography. I can't wait to go!! !